Britain has a problem: we are overproducing something that we have little idea what to do with. We can’t get rid of it, and many loathe it unless it’s disguised as something else. The product? Clever women. This week saw the “victory” of Gail Trimble, the cleverest contestant on University Challenge. Not that you would know we were celebrating. The reaction to the 26-year-old – who is studying for a doctorate in philosophy from Oxford – swung wildly between gross sexual insults and gross sexual invitations. As a devoted fan of the real Georgiana, Duchess of Devonshire, and as someone who enjoyed the movie “The Duchess” very much, I have definite opinions on all of the characters, and on the portrayals in the movie. 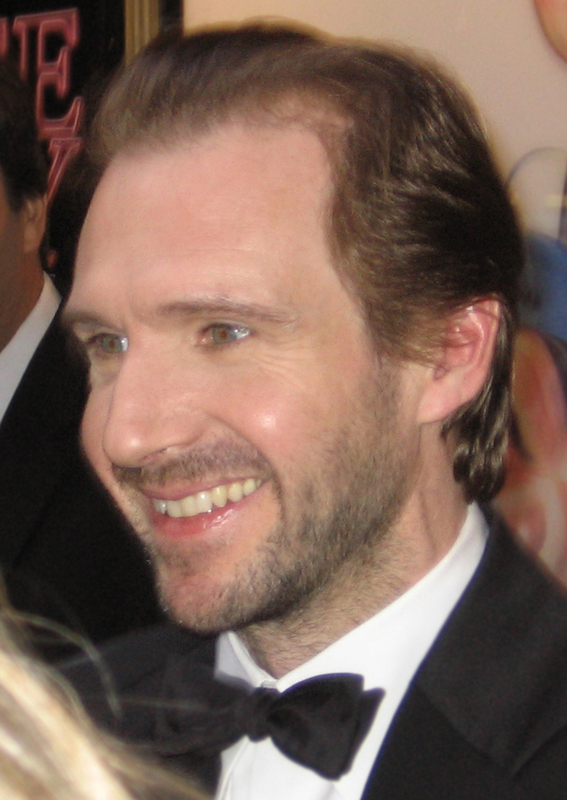 I decided that I am still a little frustrated that Ralph Fiennes portrayed William, the fifth Duke of Devonshire, in such a sympathetic light. Though, in thinking about it, at least Fiennes showed the flaws in the Duke’s character, and did not do what would have been tragic – make the Duke seem charming or especially sexually appealing, after all the Duke’s womanizing and emotional abuse of his wife. 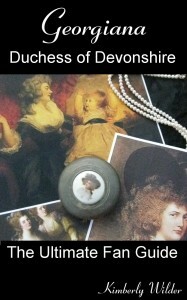 The movie, “The Duchess”, is the story of Georgiana, the Duchess of Devonshire. Georgiana is the great-great-great-great aunt of Princess Diana. Georgiana was an English aristocrat who married at a young age, and experienced a variety of struggles in her marriage. The movie focuses on her marriage to William Cavendish, fifth duke of Devonshire; her friend (and her husband’s mistress) Lady Elizabeth “Bess” Foster; and on the crisis point of Georgiana’s affair with Charles, second Earl Grey. The movie is based on the book Georgiana Duchess of Devonshire, written by Amanda Foreman, which won a Whitbread Prize for Biography. I enjoyed watching the movie “The Duchess”. Though, personally, I do not like movies, and I really don’t like to watch drama and conflict in art. So, there were parts of the movie–probably necessary to the story- which I will probably never be able to watch again. I am very glad that the movie has been released on a DVD version. Now, I can watch the parts of the movie I enjoy over and over again. And, the DVD also provides background and details that add to the telling of the story of Georgiana’s life. Please take the time to share your thoughts in the comment section. 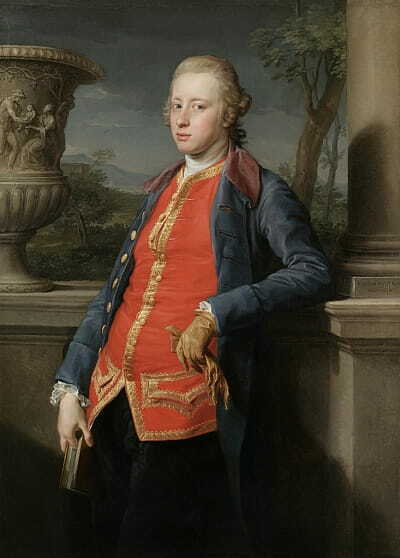 The playwright Richard Sheridan was at times a friend of Georgiana, Duchess of Devonshire and her family. Though, there was a later conflict which was more than just a falling out. For admirers of Georgiana and her biography, it is so interesting to get a glimpse of her character in art, a play created by Richard Sheridan, possibly in collaboration with Georgiana herself. And, it may provide a good antidote from the concern about Georgiana’s treatment at the hands of the Duke, to realize that Georgiana was able to win over him in art. It was brilliant of the movie, The Duchess, to incorporate Sheridan’s play into the movie. Below is Part 1 of 10 of the play “School for Scandal“, written by Sheridan and premiered in 1777. This 1965 black and white production of the play appears on Youtube in sections, which all link from each other. Joan Plowright plays “Lady Teazle”, a thinly disguised character based on Georgiana, the Duchess of Devonshire. The details are Georgiana down to the expensive feathers and flowers purchased to adorn her dresses. The play is very amusing. While the plot is somewhat unkind towards the Duke, the happy ending makes one believe that Georgiana (and/or Sheridan) may have had hope for their marriage, and some faith in the Duke’s character. If you take the time to watch this play (or if you have seen another version of it) it would be great if you could comment on this post. I think it is so magical that Georgiana was able to transport herself in time, in the form of art, for us to hear from her. And, it is even more amazing if we can think about her and her message together. Also, please send or post other interesting links or video or lists of Georgiana-related art. Georgiana, Duchess of Devonshire is an ancestor of the new royal baby, The Prince of Cambridge. Web page for “The Duke and Duchess of Peace”: here. Lady Georgiana Spencer is an important figure in political history. She was born in 1757 and died in 1806. She married, at the age of 17, and became Georgiana, The Duchess of Devonshire. She had an influential role in many key, political events, and in the shaping of the early Whig Party. Georgiana saw the French Revolution through the eyes of an English aristocrat, and as a friend of Marie Antoinette. Find Our Georgiana eBook for sale! Georgiana Circle curator Kimberly Wilder authored an eBook. A collection of Georgiana articles, reviews, and media lists, with added personal reflections. Come celebrate Georgiana, a historical figure with connections to the royal family and to Chatsworth. The banner image is a crop of a painting by the artist Angelica Kauffmann, 1774. (l) is Lady Georgiana Spencer (shortly before she became Duchess of Devonshire) and (r) is her sister Lady Henrietta-Frances (Harriet) Spencer.